Saligram understand the impact that increased workloads or a shift in business strategy can have on your team’s productivity. 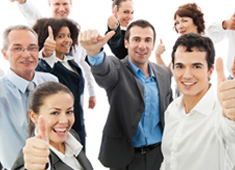 We offer a group of customizable staff augmentation services fit to meet your business needs. We at Saligram are edging our clients business via meeting quickly and cost-effectively hiring needs for various levels across all management disciplines & industries with perfect professionals on a permanent as well as contract basis. Saligram currently supports its clients with 360 degree solutions in permanent recruitment covering all the core management norms across industry domain. Our team of experts utilizes deep knowledge of human resources management experience to satisfy your unique business requirements. Our Team of Expert Consultant have wide experience and enormous knowledge of industries and functions. For more information on our IT Staff Augmentation service contact us today or discover our other IT Staffing, Consulting and Recruitment services.